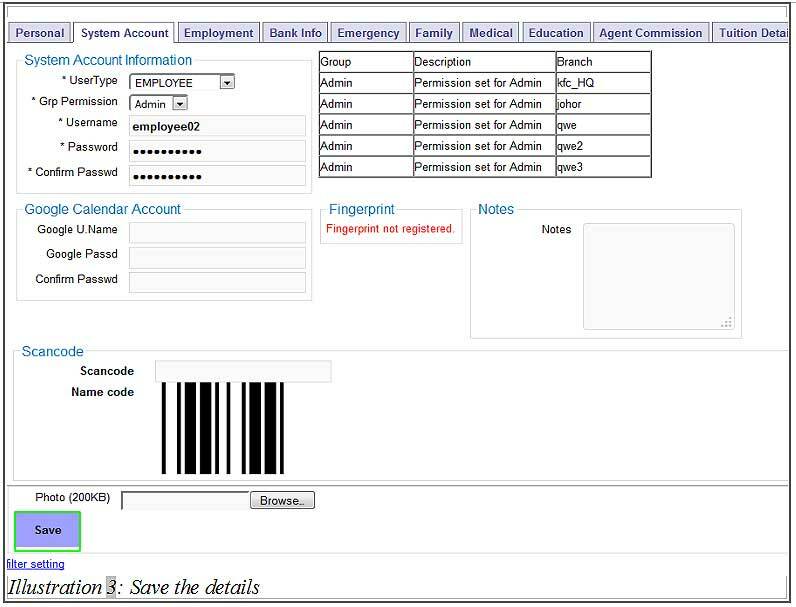 As a continuation of the previous tutorial on creating new employees, they can now login to view their profiles or update their service records in the BMO Online Inventory Management System. 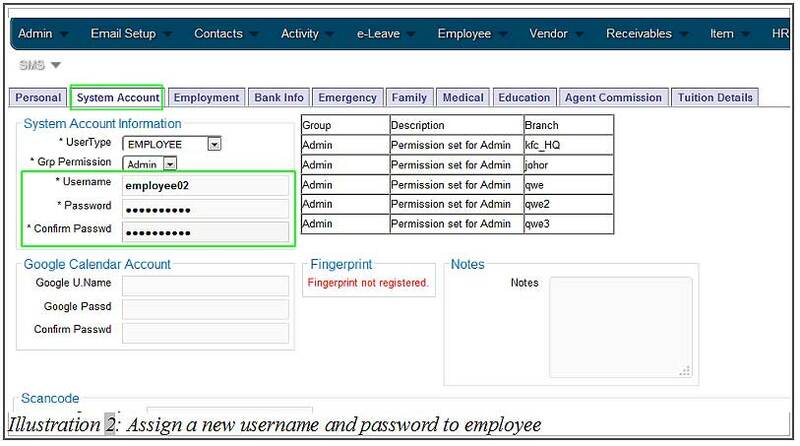 New employees or users can login by following the steps as shown below. 1. Click on “New Employee” (Employee > New Employee) on the navigation menu bar. Go to “System Account” to fill in username and password. 2. Key in the “Username”, “Password” and also “Confirm Password” as shown below. 3. Click on “Save” to save the details. 4. As you create the “Username” and “Password”. 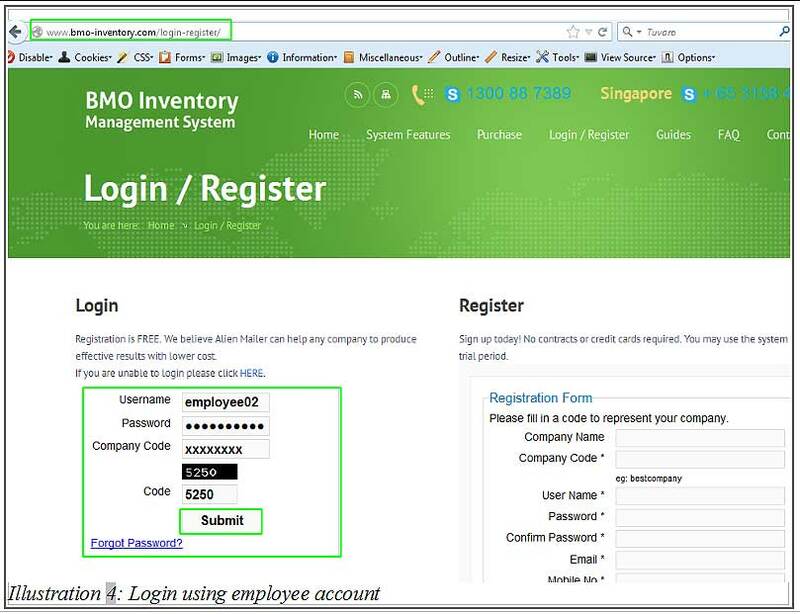 Employees can login at their website (if BMO service is integrated) or they can go to “http://www.bmo-inventory.com/login-register/“ page to login by key in the username and password. Lastly, click on “Submit” button to login. 5. 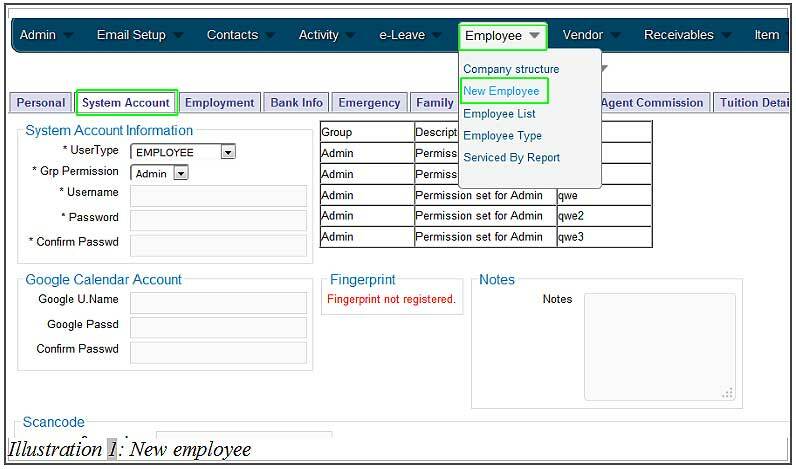 After login, the employee will able to see the user panel with their username “employee02” appearing at the top as shown in the image below.